The materials in this double set cover a variety of topics geared for a wide age range and interest level. Learning about the Works of Mercy includes resources for upper elementary, junior and senior high school students. 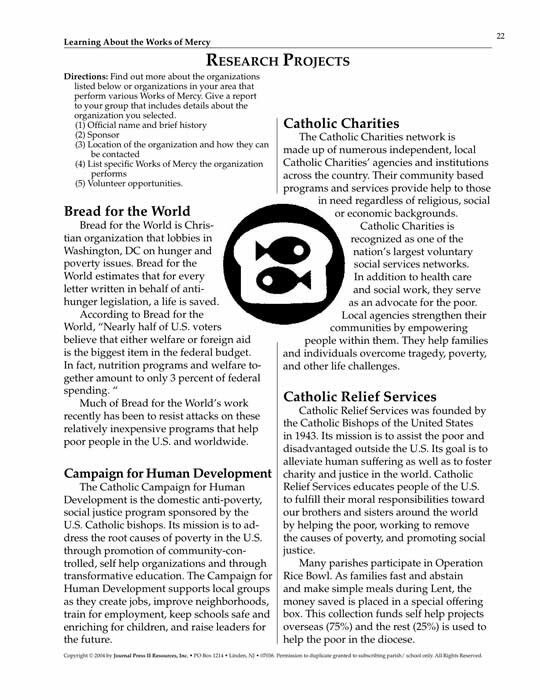 Teachers and catechists are encouraged to select and adapt these master sheets according to the specific needs and abilities of the group they are teaching. 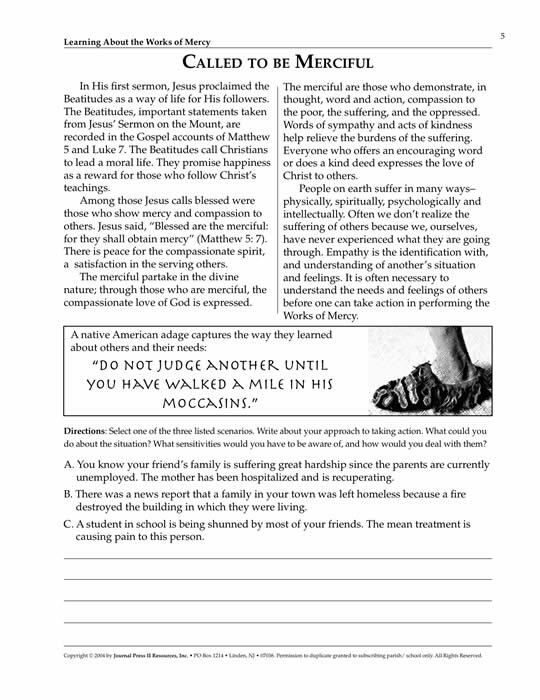 Part One offers background information to help foster an understanding of JesusÕ way of mercy and focuses on the Corporal Works of Mercy. Part Two provides materials to help learn more about the Spiritual Works of Mercy and includes a helpful Glossary of Terms. 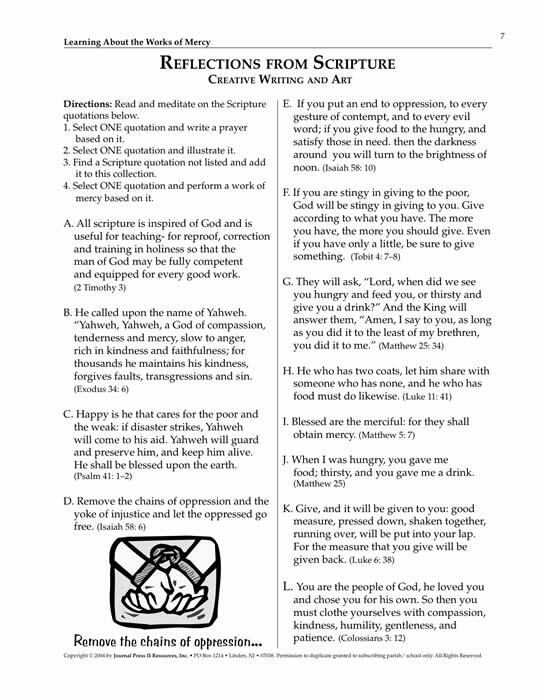 Activity sheets in this Master set can be used for helping Confirmation candidates or youth service groups organize their efforts in performing the Works of Mercy. Your purchase (below) will enable the placement of the complete 58 page Double Master Set PDF (3.1MB) on your computer. 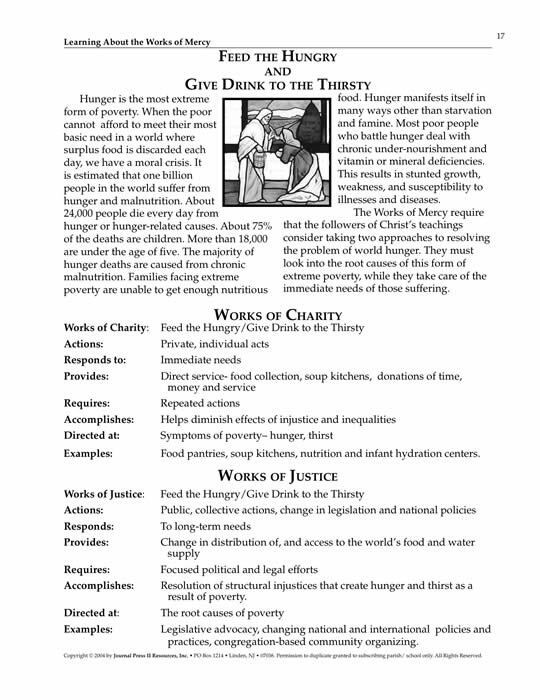 You will receive an e-mail to enable your immediate download of Learning About the Works of Mercy.